Master and Form: The Deviancy ..
Chicago Band Walker Gives List..
On February 27, 14 East hosted an engagement panel featuring Andrea Faye Hart, a co-founder and community engagement director at City Bureau; Summer Fields, an engagement consultant at Hearken; and Julian Hayda, a producer for the Worldview at WBEZ. 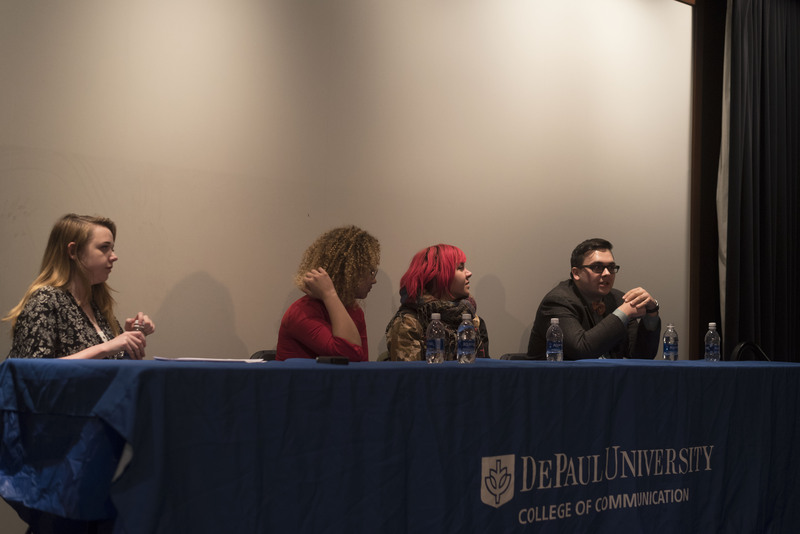 The event, moderated by Carina Smith, an associate editor at 14 East, discussed ways to incorporate the community in reporting. Engagement is essential to the success of a news organization. There is a distinction, though, between the typical definition of engagement and the type discussed at the panel. Some newsrooms consider engagement to be clicks, views and social media interaction, a numerical measurement that determines an organization’s reach. This can be true, though Smith, Hart, Fields and Hayda discussed a different kind of engagement at the panel. The panelist discussed engagement in terms of audience participation in the reporting process. This means deferring to readers, viewers and listeners about what they are interested in and what they care about to determine what to report on. It means building relationships with your audience and including them in your reporting. It’s crowdsourcing information, outlet transparency and direct interaction with an audience. Fields, Hart and Hayda further discussed how they incorporate engagement into their work and how college media can do the same. Below are four things we learned from our engagement panel. 1. Engagement should be built into the foundation of a news organization—not just parts of it. 2. Audience participation is an essential part of engagement. 3. Write about what is important to your audience—not you as the reporter. 4. Start small in your approach. Each time you begin writing a piece ask yourself how your audience can participate in the reporting. “Every time you think of a new project or beat, could you think about where does the audience come into this in the process, and what are the editorial strategies we can use to bring this to our audience,” Fields said. Editor’s note: An earlier version of this piece had the full transcript of the panel. Header image by 14 East magazine.